The Postdoc Handbook provides information on career resources, employment opportunities, peer interaction, and more. Policy for assigning appropriate research titles (including Postdoctoral titles) to individuals whose primary activities are to conduct research at, or on behalf of, the University can be found on the Policies page of the Office of the VP for Research, under University/Research Titles. Offer letter templates can be found here as well. Handbook of Operating Procedures is the official guides to policies and procedures at the University. New Employee Checklist is an easy step by step checklist to assist you with completing all the required on-boarding items within your first month on the job. An identification card (ID) can be obtained, with prior approval from your host department, by visiting the ID Center, located on the first floor of the Flawn Academic Center, FAC 102. Room keys (or proximity card) can be obtained with prior approval from your host department by visiting Lock & Key Services. If you wish to park an automobile or motorcycle on the campus, you must obtain a parking permit. This can be arranged at the discretion of your host department, in a request on letterhead addressed to Parking and Transportation Services. This letter will entitle you to an “A” parking permit. Research Affiliates are eligible to use the gym or any other recreation facilities. There is a charge for membership, which must be paid in advance. Membership is at the faculty/staff level. Visit the Division of Recreational Sport for more information. As a Research Affiliate you are entitled to the same discounts on campus events as every other member of the UT faculty. Insurance benefits are available for eligible fellowship holders. To qualify for insurance as a Research Affiliate – Postdoctoral (A010), you must be serving a postdoctoral fellowship with the sponsorship of a UT Austin faculty member. Your eligibility will continue as long as you are serving the fellowship and maintain sponsorship of a faculty member. The UT Student Health Insurance Plan is provided by Academic Health Plans through BlueCross/BlueShield of Texas. This plan includes comprehensive coverage compliant with the Patient Protection and Affordable Care Act (PPACA) at a Gold Level. University Health Services (UHS) – Service Extension Fee ($50 per semester): this is not an insurance plan, but it allows access to UHS facilities and services. After the fee is paid for a semester, the individual can use UHS services through the end of that semester. Visit Handbook of Operating Procedures for further information on Research Affiliates. View available employee services on Human Resources website. Visit International Office for housing information. Riders who participate in the program can request a ride from main campus and will be dropped off at residential locations only including: homes, apartments, condos, and private dorms located off campus, between the hours of 11 pm and 4 am, seven days per week. If you would like to participate in the free SURE Ride program from PTS and Lyft, please opt-in with the email address you listed in the university directory here and you’ll receive an invitation. If it is not the same email address as you listed in the directory, you will not be able to use SURE Ride. Once you Opt-In, you will receive an invitation from Lyft within 24 hours. Follow the prompts to get started. Rides must be in "Personal Mode" AND Lyft Line for Promo to apply. Rides will be provided to residential areas that are served by following shuttle bus routes: West Campus (642), Lake Austin (663), Crossing Place (670), North Riverside (671), Lake Shore (672), Red River (653), Intramural Fields (656), and Far West (661). This initiative is part of the Lyft Ride program and you may share your ride with others in the university community. ADA accommodations will be here soon! Want more information? Visit www.parking.utexas.edu/sure. How your payroll taxes are calculated? If your income is $64,000 or less file free with "FreeFile". If you have an upgraded UT EID, you can receive your W-2 via the Web by downloading an official copy from the My W-2 website. If you do not have an upgraded UT EID or do not claim your W-2 electronically, it will be mailed to your campus mail address if your assignment continues through January 15. If your assignment ends before January 15, your W-2 will be mailed to your permanent (W-2) address by the end of January. To review or update the addresses that The University of Texas at Austin has on file for you, go to My Employee Addresses. Tax guidance for non-residents provided by the International Office. IRS information for fellowship grant recipients (Topic 421 - Scholarships, Fellowship Grants, and Other Grants). UT alumni qualify for career services provided by the RecruitUT office. The National Postdoctoral Association (NPA) is a member-driven organization that provides a unique, national voice for postdoctoral scholars. UT Austin is a sustaining member. For assistance logging into your free account, Email Us. National Center for Faculty Development and Diversity (NCFDD): on-demand access to mentoring and professional development resources. Postdoctoral Traineeship: Open to PhDs in sociology, demography, public health, family studies, or a related social science discipline. University Libraries: The University Libraries are a vital source of information in all formats and in all subjects. The Libraries also provide expert consultation, instruction, and document delivery services for researchers. OSP Concierge Services: hands-on, one-on-one pre-award services for successful proposal creation. Cayuse Training: The Cayuse424 system is a powerful tool for researchers submitting grant applications to the federal government. IRB Training and Disclosure Requirements: Training requirements for conducting human subjects research. IACUC Protocol and Training: Training for working with animals. IBC Training: Find requirements for biosafety training and lab biosafety manual and inspection. Directory of Open Access Journals (DOAJ): DOAJ is an online directory that indexes and provides access to quality open access, peer-reviewed journals. Open Access Scholarly Publishers Association (OASPA): This is a smaller group of open access publishers (including those who publish books) who have agreed to a set a code of conduct. These are listed by publisher while DOAJ lists by journal (multiple journals could be published by the same publisher). The University of Texas Libraries Digital Repository (UTDR): UTDR was established to provide open, online access to the products of the University’s research and scholarship, to preserve these works for future generations, to promote new models of scholarly communication, and to help deepen community understanding of the value of higher education. Postdocs can submit publications under UT Faculty/Researcher Works.  Texas Data Repository (TDR): TDR was established by UT Libraries as a platform for publishing and archiving UT’s research data. Depositing data in TDR helps researchers increase their impact while meeting data sharing and archiving requirements from funding agencies and publishers. List of funding agencies that explicitly allow direct use of their grants to cover article-processing charges: Many funding agencies allow the use of grants to cover article-processing charges. The Wellcome Trust, Research Council UK, the Howard Hughes Medical Institute and the US National Institutes for Health, strongly encourage open access publication. For more information, visit: BioMed Central, The Open Access Publisher. Links to organized postdoctoral groups and programs at The University of Texas at Austin. If you have established a postdoctoral fellows organization or your department has a postdoctoral program, we can add your contact information and Web site. Submit requests by e-mail to the Office of the Vice President for Research. Postdoctoral fellows can sign on to the mailing list to share information between each other and find announcements from the Office of the Vice President for Research. Join the postdocs mailing list – a forum for postdocs to share their ideas, experiences, and questions with each other. To subscribe, follow the instructions at UT Lists. Subscribe to: postdocs@utlists.utexas.edu (in Research category). If you have any questions about the postdocs listserv, send e-mail to the Office of the Vice President for Research. Peer-to-Peer interaction: to participate, join the Future PI Slack group and follow the twitter handle. There are over 160 postdocs subscribed nation-wide. You can participate in discussions and meet other postdocs who share the joys, trials and tribulations of postdoc life. You’ll find a wealth of resources, advice, faculty job ads, writing tips, and more. To find out more about the Future PI Slack group, check out the founder’s blog. HealthPoint Wellness: The HealthPoint Wellness Program is part of Human Resources. The overall goal of the HealthPoint Work-life Balance and Wellness Program is to improve the health and well-being of faculty and staff. Employee Assistance Program: Provides behavioral health expertise, promotes wellness, and develops solutions to life's challenges, through brief counseling and consultation services, crisis intervention, assessment and referral, educational and training programs, and supervisory consultation. UT RecSports: The Division of Recreational Sports has served the campus community since 1916, making it one of the oldest and largest collegiate recreational programs in the country. To become a member, visit the Membership options page. University Health Services through Service Extension Fee: Post-docs and visiting scholars who are not officially registered for classes at UT Austin can pay the Service Extension fee. Specific documentation from the program with which they are affiliated is required. The UHS Service Extension fee allows qualified individuals, like post-docs, to get access to the same UHS care a services that current students enjoy by paying this Service Extension Fee. This fee is an access fee, not an insurance plan.